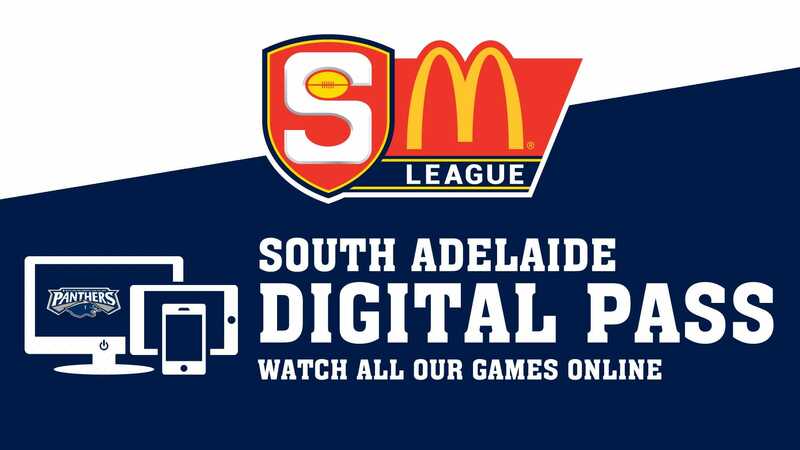 South Adelaide's held off a fast-finishing Glenelg to claim a five-point victory in their home opener and extend their unbeaten run at Hickinbotham Oval to 11 games on Saturday afternoon. In control for much of the match and leading by 40 points at the final change, Panthers fans endured a nail-biting last quarter that saw the Tigers kick 6.1 to just 0.2. Fittingly on the afternoon the club honored the ANZAC with a remembrance ceremony prior to the game, the Panthers were resilient enough to withstand Glenelg's charge home and extend their winning streak at Hickinbotham Oval to 11 games - South won all 10 games at home in 2016. Slow finish aside, Garry Hocking's men can take many positives out of the performance against the Bays, with their performance through the first three quarters outstanding and claiming the scalp of a side that had recorded two impressive victories over Port Adelaide and reigning premiers Sturt to open the season. It may have taken them 16 minutes to impact the scoreboard, but the Panthers willed their way into the lead late in the first term on the back goals to Sam Overall and Brede Seccull. It wasn't always pretty in the opening quarter, but South Adelaide's play was certainly efficient as they converted five inside 50s into four scores, while the Bays could only manage 1.2 from their 11 forward entries. Credit must go to the Panthers backline as they consistently repelled Glenelg's forward forays. By the second term, South Adelaide had clearly wrestled control of the match. Glenelg kicked the opening goal just three minutes into the match, but were held goalless until the 16th minute of the second quarter. Meanwhile, the Panthers piled on six majors in that time and took a 30-point lead into the major break. 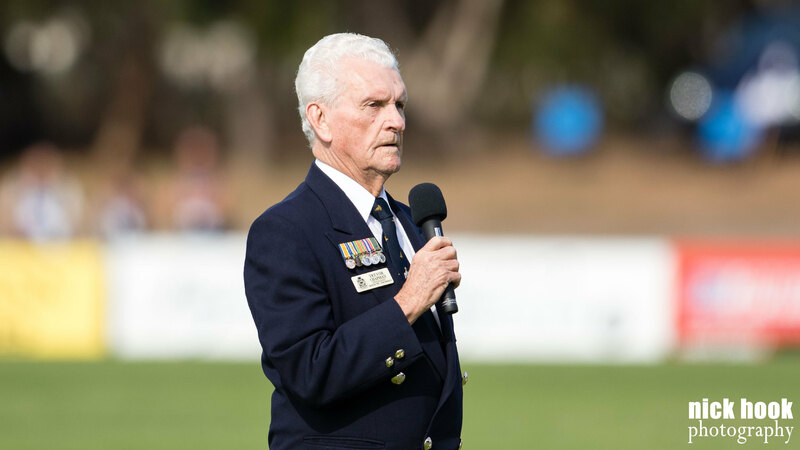 ANZAC Spirit: Marion RSL President Trevor Chapman leads the remeberance ceremony before the game. Image: Nick Hook. The highlight of the second quarter came from first-gamer Connor Fairlie, who calmly slotted the first goal of his League career in front of the South Adelaide faithful in the Jimmy Deane Grandstand before being mobbed by his teammates. The third quarter produced much of the same. Sam Overall was particularly impressive, kicking three goals for the period to take his total to five for the afternoon and leapfrog Glenelg's Liam McBean for the lead in the Ken Farmer Medal race. 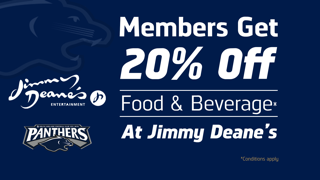 After Ben Haren goalled in the 26th minute of the penultimate quarter, the Panthers lead had ballooned to 40 points. However, the final term was all Glenelg. The Tigers produced a final term flurry, kicking 6.1 to just 0.2 and trimmed the Panthers lead to just five points deep into the term. In Round 2 the siren denied South Adelaide the chance to pinch victory from the Crows grasp in Encounter Bay. Thankfully in Round 3 the fortunes were reversed for the Panthers and they were able to hold onto their lead long enough to claim the two points for their own. The midfield work of Joel Cross (a game-high 27 touches), Brede Seccull (18 possessions and three goals) and Nick Liddle (21 disposals) as well a the dynamic performance of Overall (five goals) up forward were key to the Panthers claiming the points. Meanwhile, South Adelaide's defence was equally impressive, lead superbly by Tom Fields (20 touches) and Matt Rose (22 and eight marks) and allowing just five goals through three quarters and held the dangerous McBean to just a single goal. 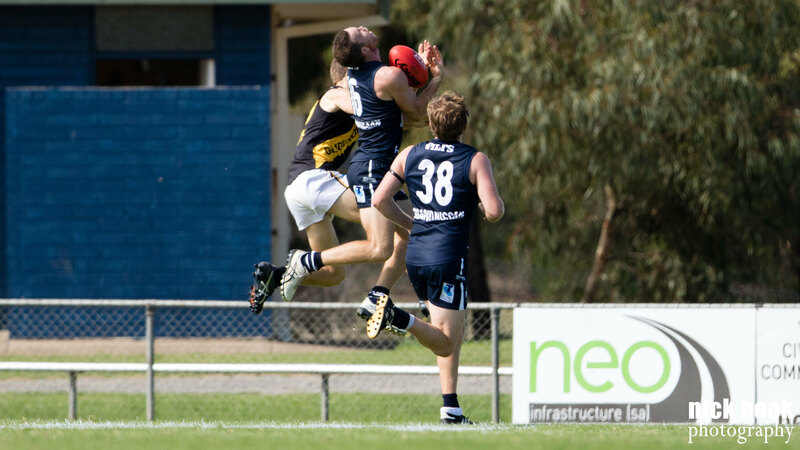 The victory also ensured the Panthers returned the Carey-Darley Cup to Noarlunga and took the ledger in the annual coastal clash to 16-10 in South Adelaide's favour. South Adelaide now prepare footy under lights at the Parade, as they face Norwood from 7:20pm this Friday night (April, 28). Want to re-live the winning feeling from Round 3? South Adelaide's Reserves succumbed to a 61-point loss against Glenelg at Hickinbotham Oval. The Tigers shot out of the blocks and were ruthless in their execution against South Adelaide turnovers to quickly establish a dominant lead. The Panthers best term was the third quarter, where they outscored Glenelg 4.3 to 4.1. However, too many mistakes were punished too often and the Tigers ran out a comfortable victory. Best for South Adelaide was Jordan Taylor, who collected 20 touches and claimed 12 marks in his long-awaited return to football. Matt Raitt battled hard for his 19 touches and two goals, whilst youngsters Jesse McKinnon (12 touches) and Jaidan Kappler (11 and a goal) also played well. Big American ruckman Alex Aurrichio (recruited from Northern Blues in the VFL) also impressed with a workmanlike performance at the stoppages around the ground, finishing with 12 disposals and a goal.